Spacious with a deluxe powerful spa – a blissful delight! 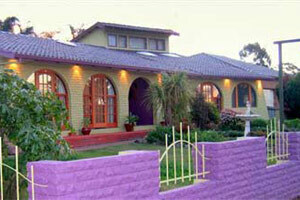 Getaway Inn provides fantastic Hunter Valley accommodation (and winery tours) for groups, families and couples. Staying at Getaway Inn, you can enjoy a fully cooked breakfast in the morning then explore a full day Hunter Valley wine tour. It was a perfect little guesthouse, super clean with great facilities. It's close to everything right in the middle of wine country, great value. Right from the first contact, we knew we were in a good thing. Better than expected. Hospitality awesome. A delightful surprise, excellent friendly service & great rooms – relaxing at getaway. A most enjoyable experience with wonderful hospitality and friendly service. Will return when we are coming this way again. Our second stay for a concert in the Hunter, once again so special: Comfort, luxury and true hospitality - thank you very much. Great accommodation, loved the spa and the privacy of our room. Breakfast was superb. Good value for money and central to all Hunter facilities. Book your Hunter Valley accommodation now. Just 1 hour from Newcastle and 2.5hours from Sydney.